happy to announce the opening of the Nature Coast Exhibition No. 2. Friday, November 2 | 6:45 p.m. 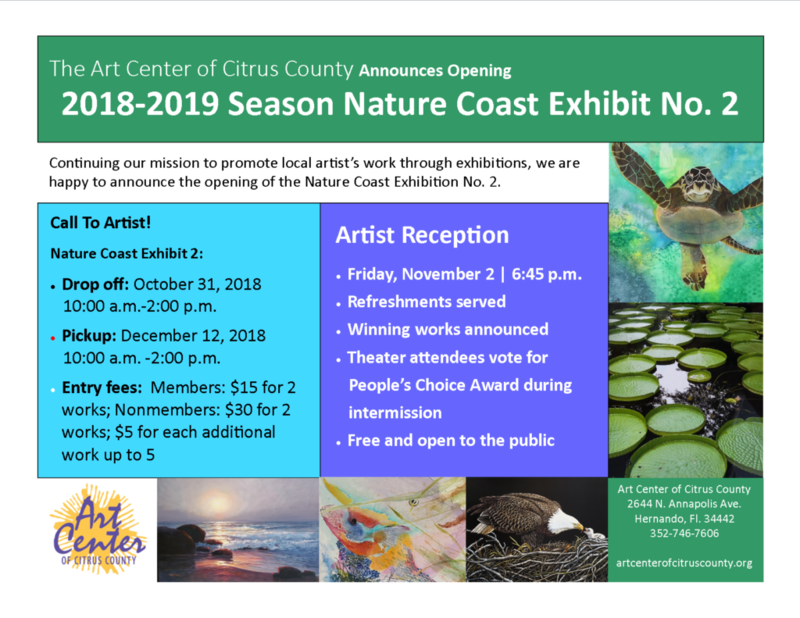 This entry was posted in Art Center Building, Art Exhibits, Art Galleries, News and tagged Nature Coast Exhibit No2 2018 on October 7, 2018 by Art Center.